Although it is believed that breakfast is the most important meal of the day, supper happens to be our favourite meal of the day. 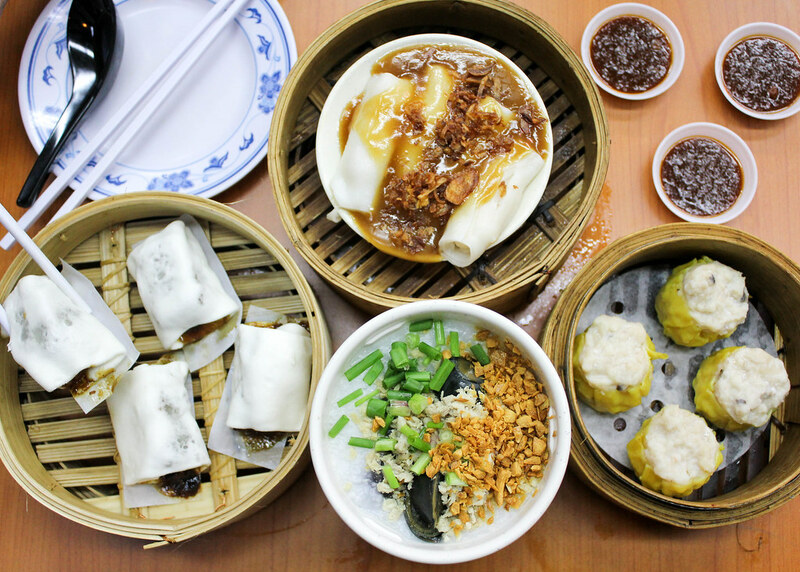 Singapore has no lack of supper spots, but there are some that are really worth putting on the calories for. Here’s a list of 23 supper spots in the East that you should totally visit. It is said that everyone would leave Mizzy’s corner with satisfied tummies. 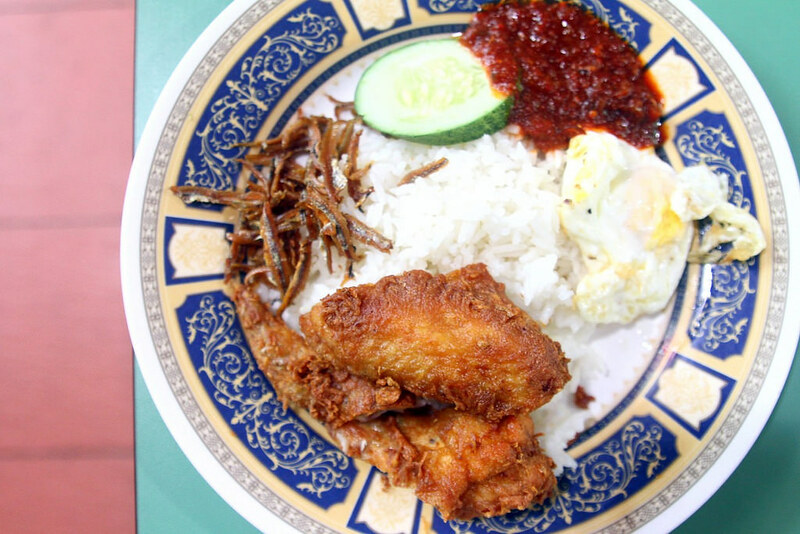 2The standard chicken nasi lemak set costs $3.50 and comes with a fried chicken wing, a fried egg, ikan bilis, sambal and a slice of cucumber. You can add a piece of mackerel otak otak for $1. Also located at Changi Village, this stall is Mizzy’s direct competitor. We queued for 20 minutes for just two plates of nasi lemak. 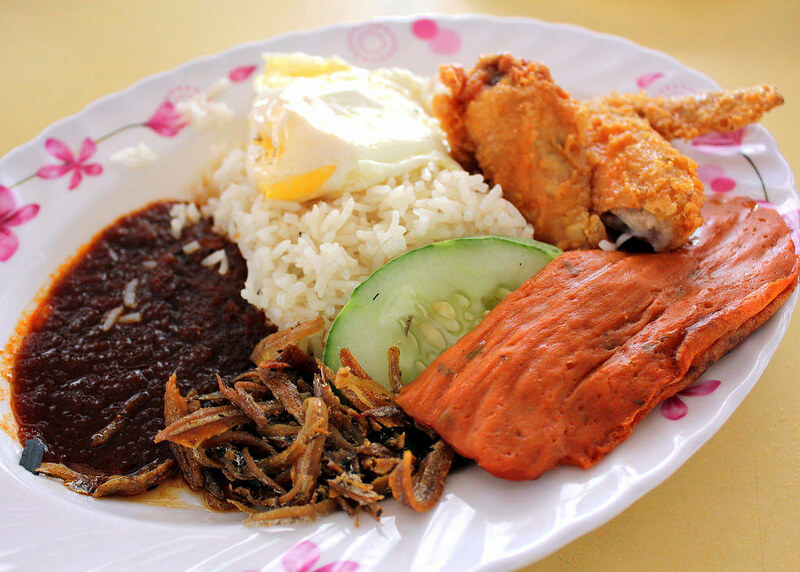 The best part about the nasi lemak here is the sambal. While some sambal tend to be sweeter, Sri Sujana’s version is spicy and fragrant enough. Their ikan bilis give a good crunch, and the chicken wings have a nice crispy skin. Opening Hours: Tue-Sun 8am to 2am. Closed on Mondays. When the nights get too warm, it’s a good idea to indulge in a refreshing bowl of Commando Dessert ($2). This unique sweet treat gets its name from the soldiers training at the Commando camp nearby. 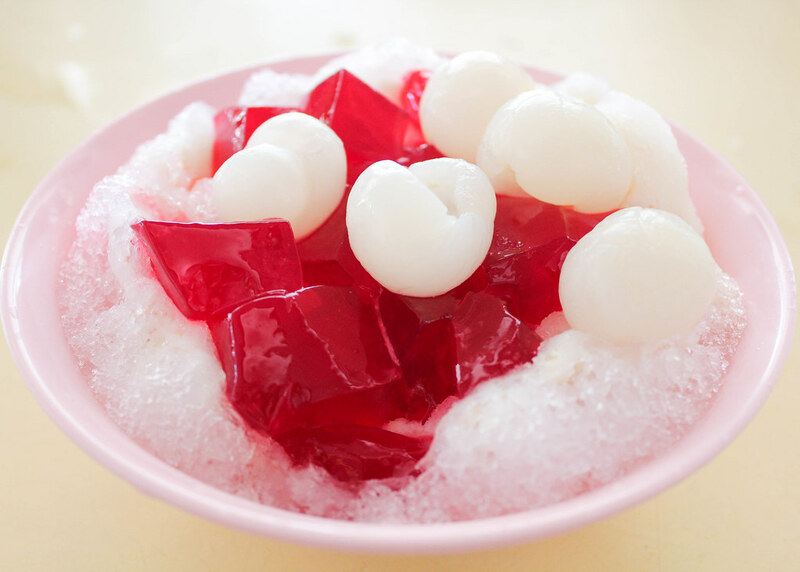 Basically, you get shaved ice drizzled with condensed milk, longans and red tea-infused jelly. There are also other off-the-menu items such as 5th Coy and 6th Coy at $2 per bowl. Opening Hours: 12pm to 2am. The highlight here isn’t the prata, but the naan. 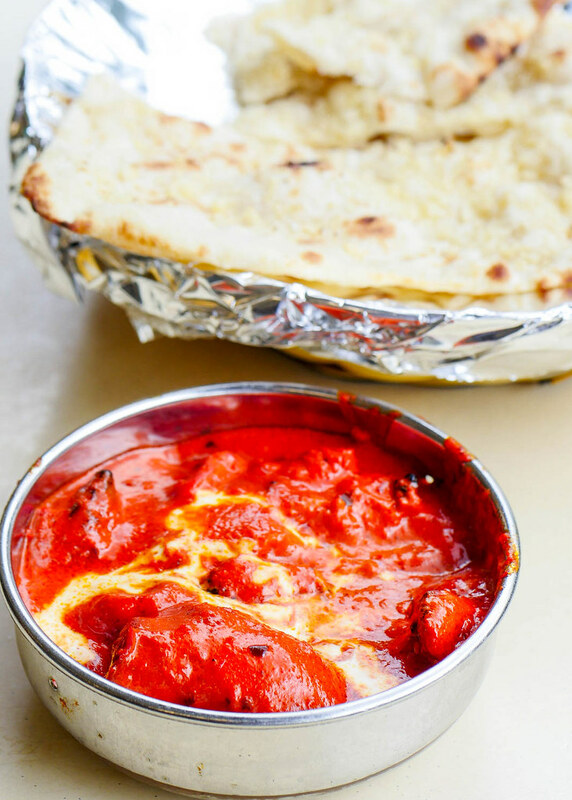 The Garlic Naan ($2.80) and Butter Chicken Curry ($7.50) had us drooling. You just can’t leave without trying this stunning combination. 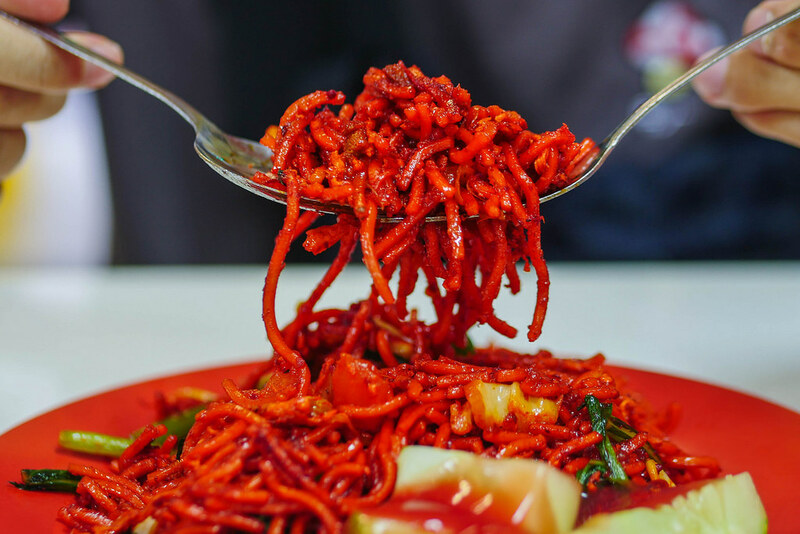 The fiery Mee Goreng ($4.50) here will delight those with a penchant for spicy food. You should also order a portion of their famed biryani which is served on a huge banana leaf. 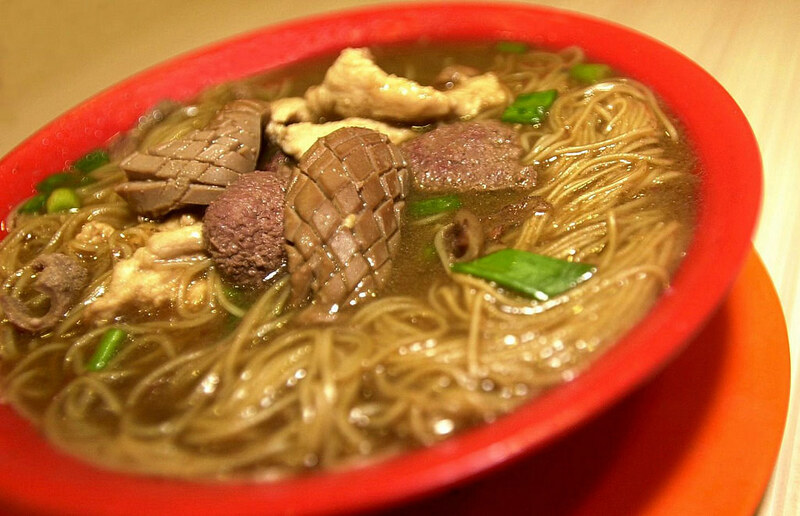 For $4, you get a hearty bowl of mee sua with kidneys, innards, and lean meat. 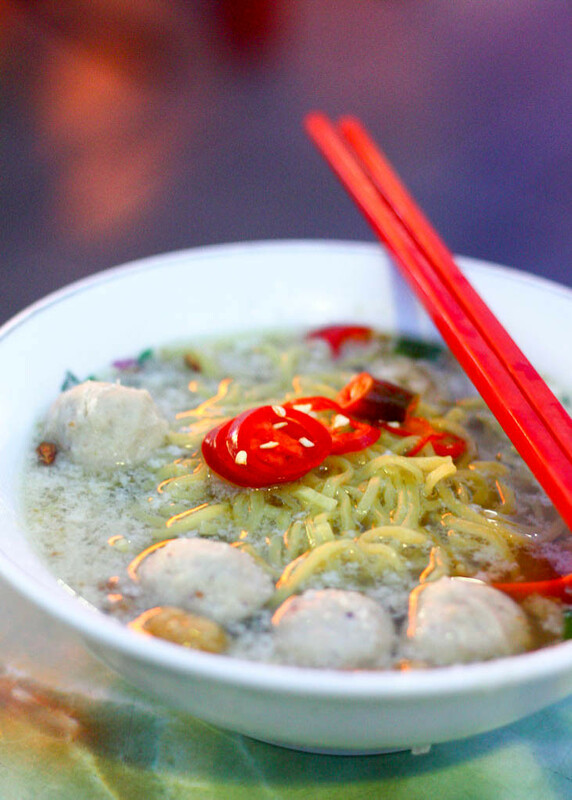 The thick and rich herbal soup is simply irresistible. 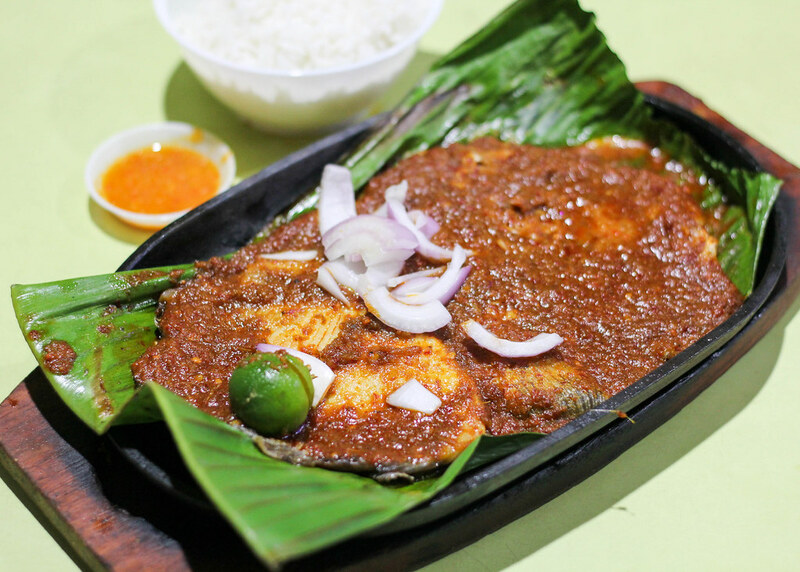 The steamed fish is another noteworthy dish. Opening Hours: 11am to 4am. 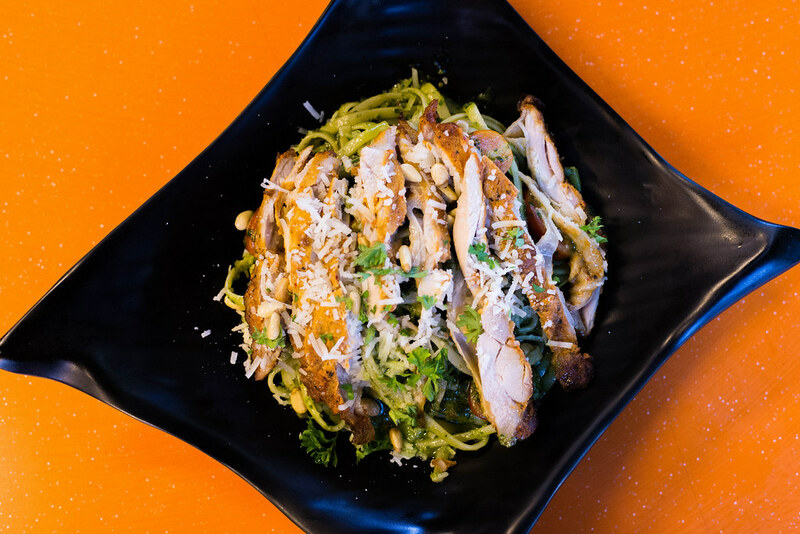 Spize has an extensive menu that boasts Asian and Mediterranean delights. They are open till the wee hours to ensure that you’ll have a satisfied tummy before you head to bed. Spize offers delivery, so you can enjoy your supper in the comfort of your bed. Opening Hours: Mon-Fri 12pm to 2am. Sat & Sun 12pm to 3am. Look forward to classic Indian dishes such as butter chicken, tandoori chicken, biryani, and of course, prata. 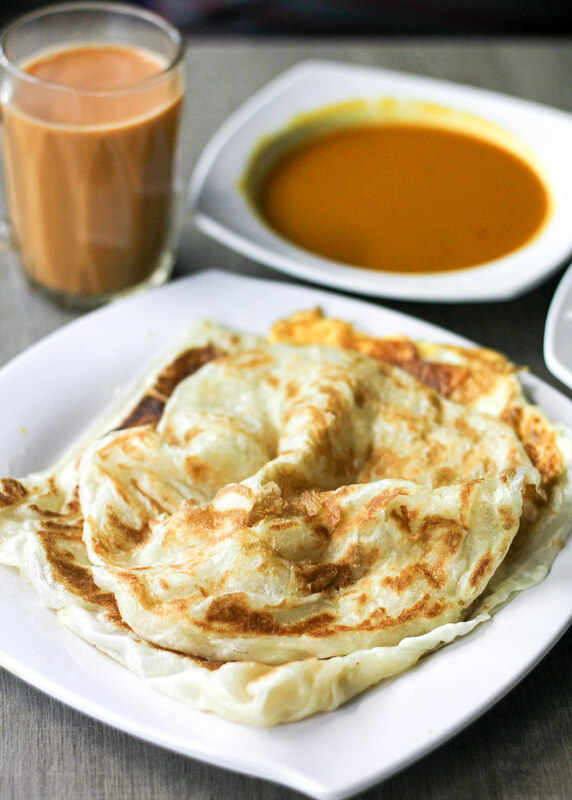 For just a dollar, you get a thick piece of plain prata with two different curries. 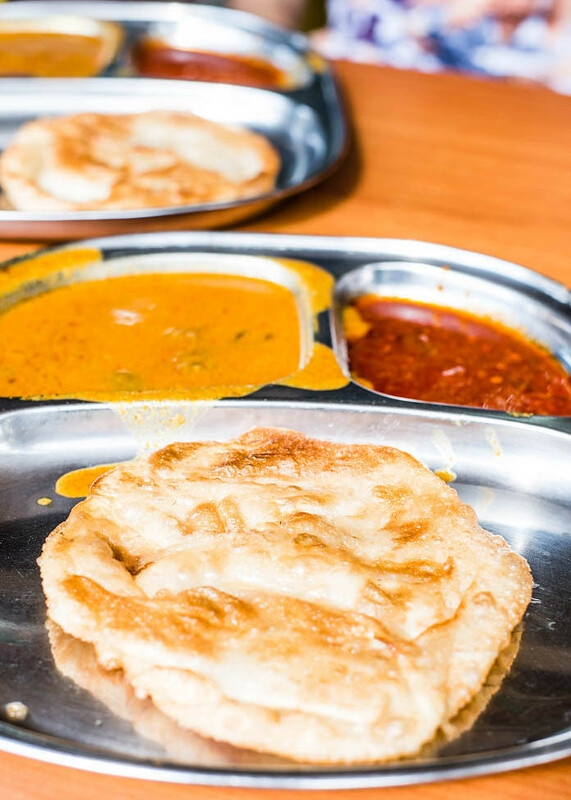 The standard isn’t that consistent, but sometimes, you’ll get a super crispy prata with a buttery and soft centre. This Halal-certified restaurant offers more than 200 items on their menu. Crowd favourites include Assam Curry Fish Head and Char Kway Teow. 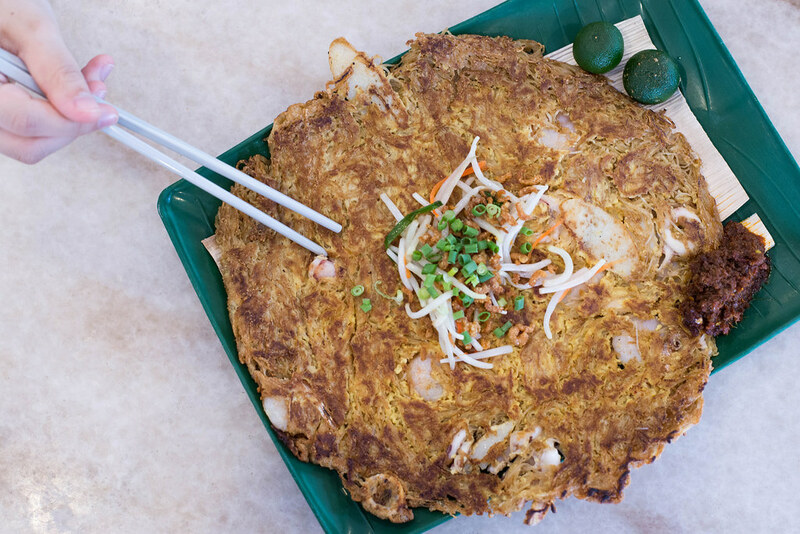 The signature Pan-Fried Crispy Bee Hoon ($11), which is a must-order, sees sotong, prawns, fish cakes, and bee hoon, encased in a round omelette. Opening Hours: Thu-Sun 11am to 2am. Fri, Sat & PH 11am to 3am. 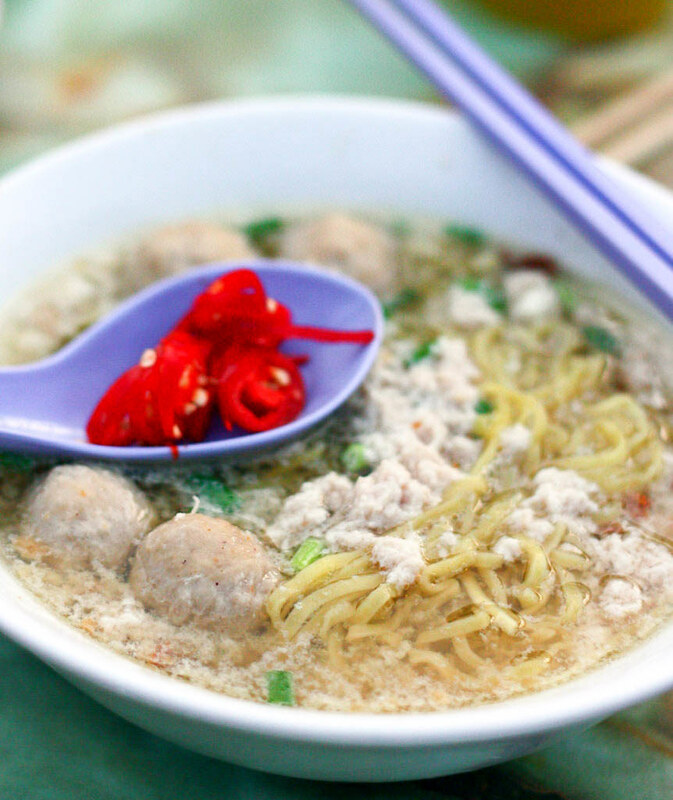 Besides the two popular bak chor mee stalls at Bedok 85, you should also try Tian Nan Xing’s minced pork noodle. The stall is now managed by the 3rd and 4th generation, and each bowl is flavourful and tasty. We recommend topping up a dollar for their homemade dumplings. Opening Hours: 7am to 1.30pm; 5.30pm to 1.30am. This is one of the two popular bak chor mee stalls at Bedok 85. If you want to have a taste of their noodles, you have to be prepared to queue. If you take a peek into the stall, you’ll notice the lady boss kneading the dough continuously. This is probably the reason why the noodles here are a little springier as compared to the other stall, Seng Hiang. Opening Hours: 2.30pm to 1.30am. Closed on Thursdays. The queue here is usually shorter than the one that forms at Xing Ji. The soup isn’t as flavoursome as Xing Ji’s, but if you’re in no mood to wait, this is good enough to satisfy. 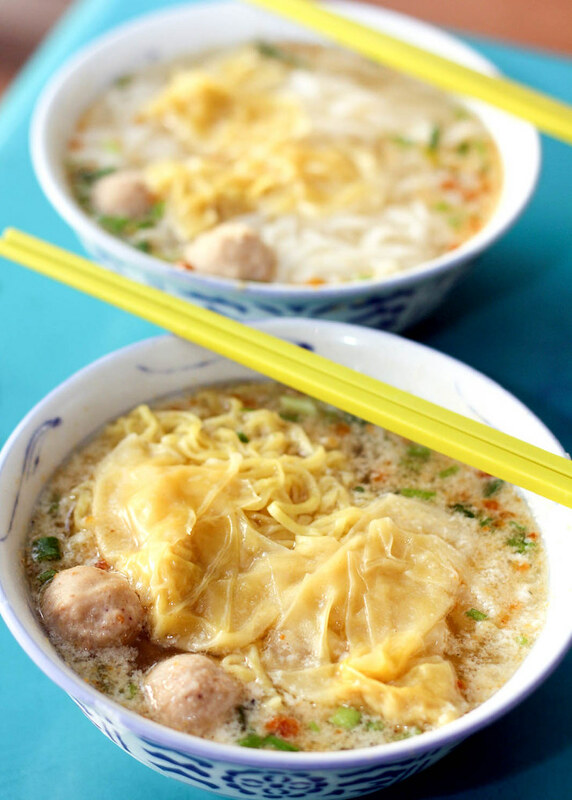 They also serve dry bak chor mee, but we recommend the soup version. Opening Hours: 6pm to 3am daily. 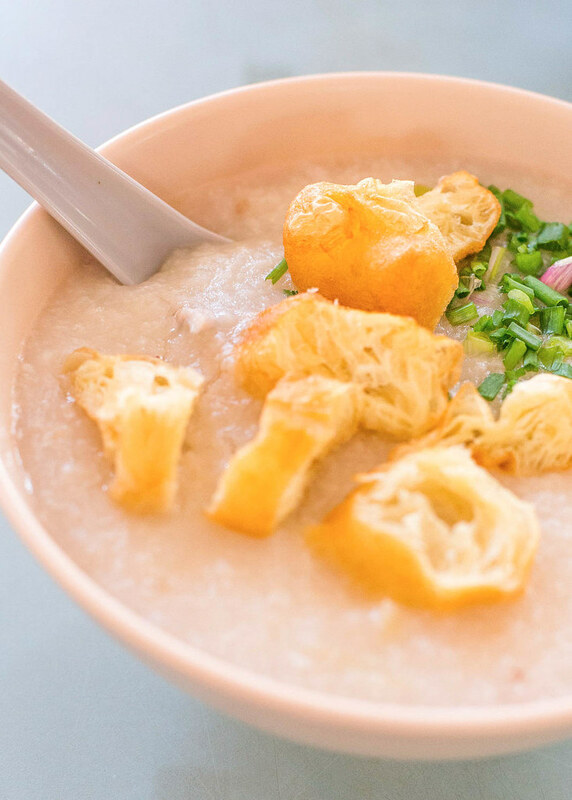 This heartwarming bowl of porridge never goes out of style. The consistency is great, and the serving is pretty generous. Add 50 cents for an egg and you’re set for a comforting and delicious supper. Opening Hours: 5pm to 2am daily. 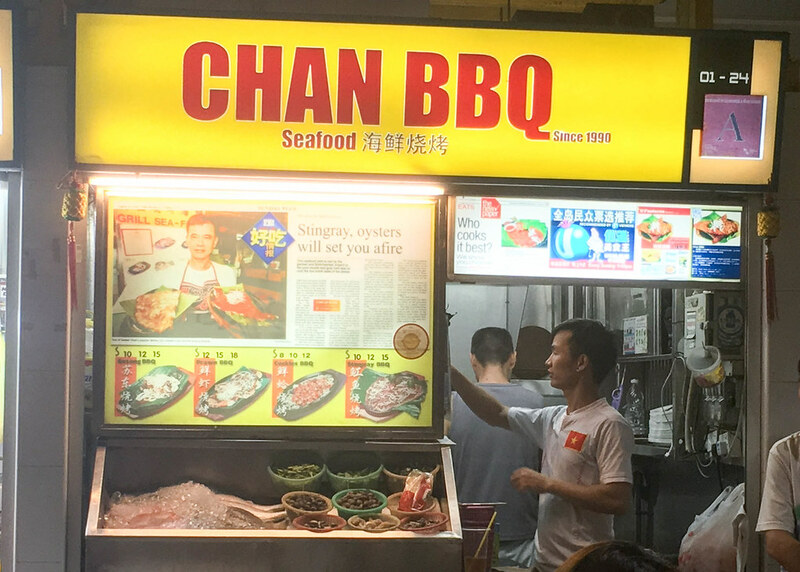 There are quite a number of stalls offering sambal stingray at Bedok 85, but we always frequent Chan BBQ. Served on a banana leaf, the stingray here is slightly meatier than the ones you get elsewhere. In addition, the sambal packs a good punch without overwhelming the natural flavours of the stingray. Opening Hours: 5pm to 1am. Closed on alternate Wednesdays. 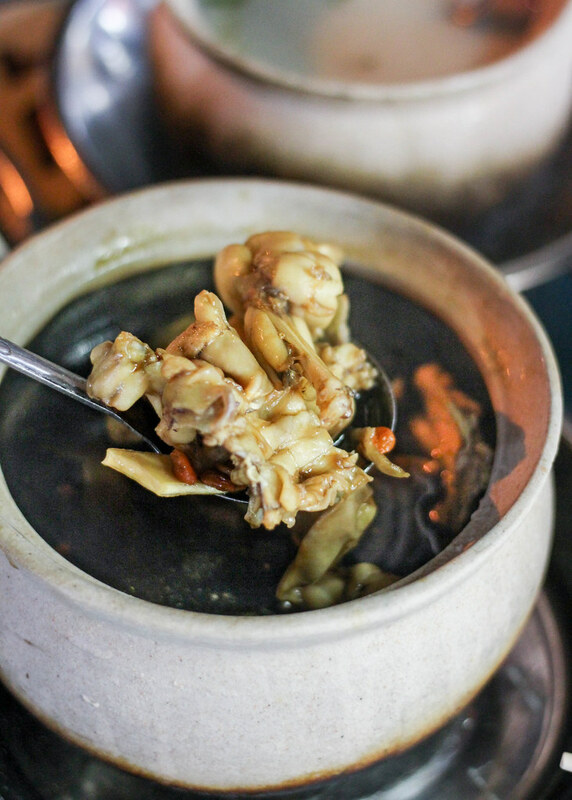 This is another place where you can get a herbal bak kut teh in Singapore. Sin Heng’s Special Claypot Bak Koot Teh ($8 small, $14 medium, $22 large, $32 extra large) comes with a mix of pork ribs, intestines, kidney, and liver. The eatery also whips up a range of tze char dishes. Opening Hours: Tue-Sun 7.30am to 4am. Closed on Mondays. 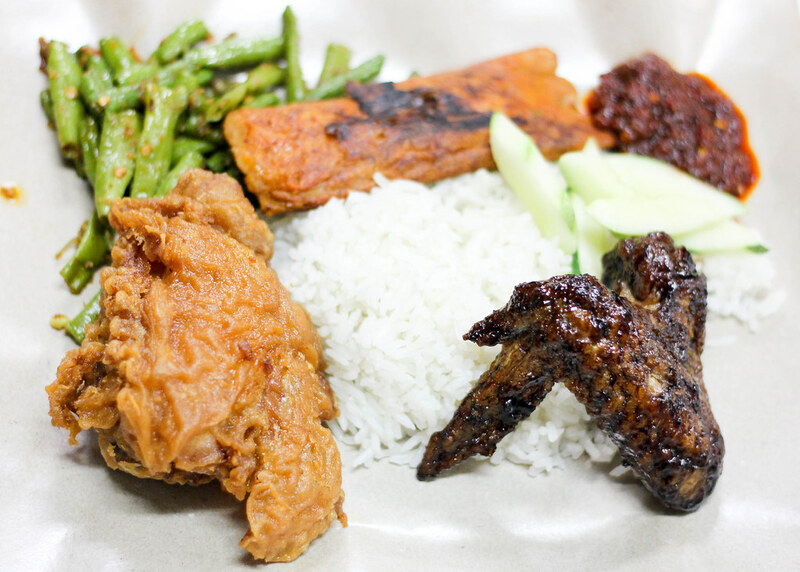 What makes Bali Nasi Lemak stand out is its offering of two different types of chicken – fried chicken, and Indonesian black sweet sauce chicken. The fried chicken is crispy and juicy, while the latter is tender and carries a hint of sweetness. Opening Hours: Mon-Sat 5.30pm to 4am. Closed on Sundays. For $16, you get 3 frogs (buy 2 get 1 free)! If you’re dining with a few friends, get a pot with spring onion, and another pot with chicken essence. The gooey porridge is served separately. The dish with the spring onions was very fragrant, and the frogs were fresh. I especially loved the sauce! Opening Hours: Mon-Sat 5pm to 4am. Sun 5pm to 12am. This eatery is famous for their white pepper crabs and a very special san lou mi fen. Unlike common black pepper crabs which come in a rather heavy and savory sauce, the white pepper crabs offer the same great flavor with a pleasant peppery taste. The三楼米粉 is another dish that you have to try. 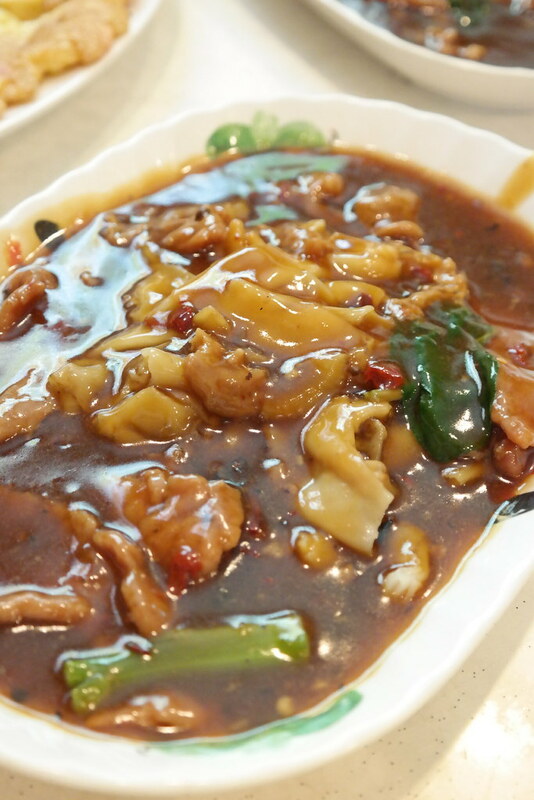 Although it doesn’t look super attractive, the dish carries a fragrant wok hei. The contrast between crispy and charred beehoon, and soft and moist beehoon will win your heart. Opening Hours: 5.30pm to 2.30am daily. 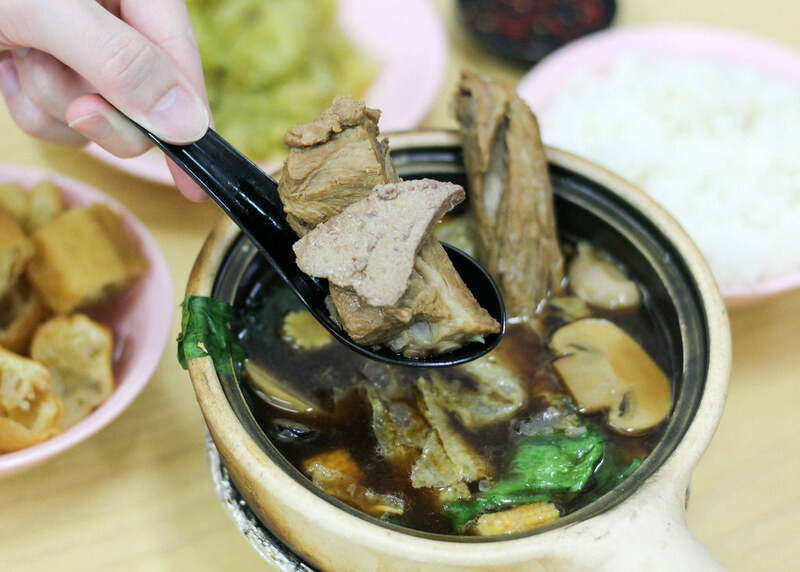 Geylang Lorong 9 Beef Hor Fun supposedly dishes out the best beef hor fun in Singapore. The standard is quite inconsistent here though. At times, we get a plate of nicely charred kway teow with a generous amount of fragrant beef slices, but we have also received kway teow drenched in a diluted and bland gravy before. Nonetheless, the beef hor fun still makes for quite a satisfying supper. Opening Hours: Mon-Sat 5pm to 3am. Sun 5pm to 2.30am. Specializing in soya bean products, Yong He serves everyone’s favourite traditional soya bean milk and soya beancurd. 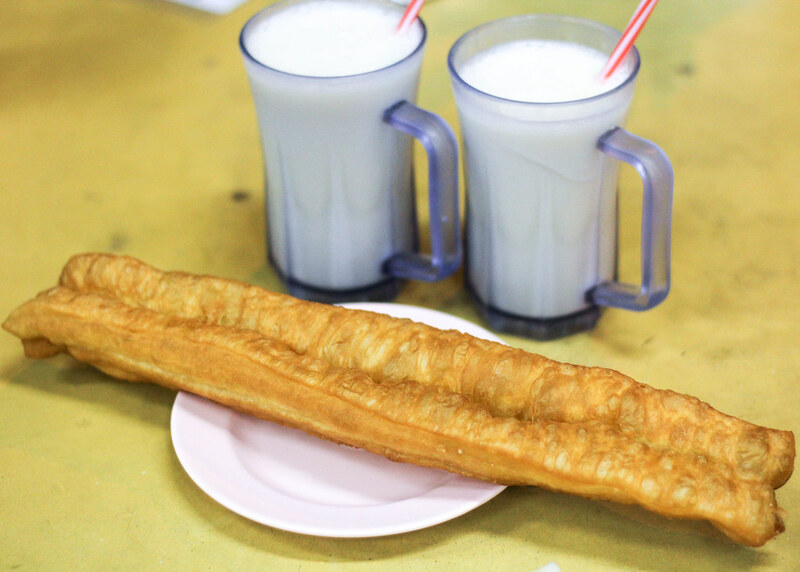 Because 油条(dough fritters) tastes exceptionally delicious with cold soya bean milk, we recommend ordering a stick or two to pair with your chilled soya bean drink. 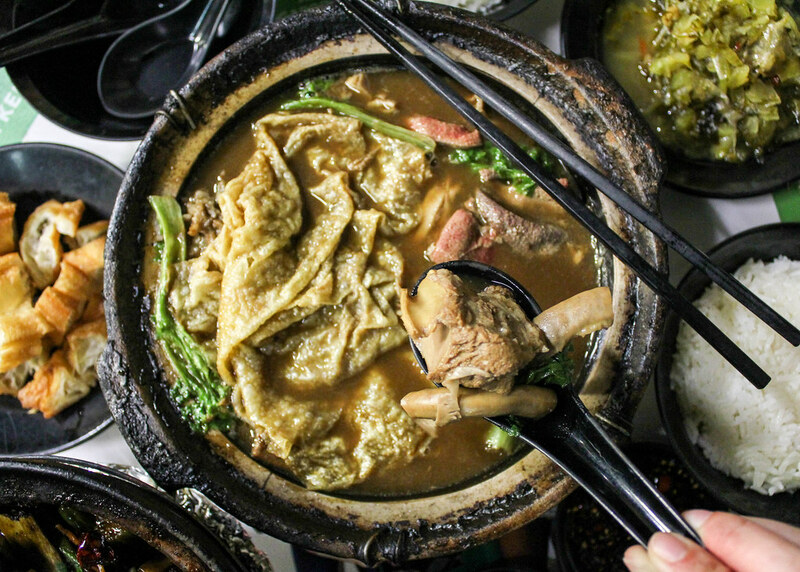 This is perhaps the best herbal bak kut teh stall in Singapore. The light-coloured broth is aromatic and not too oily. There’s a surprising hint of pepper, which is a nice touch. 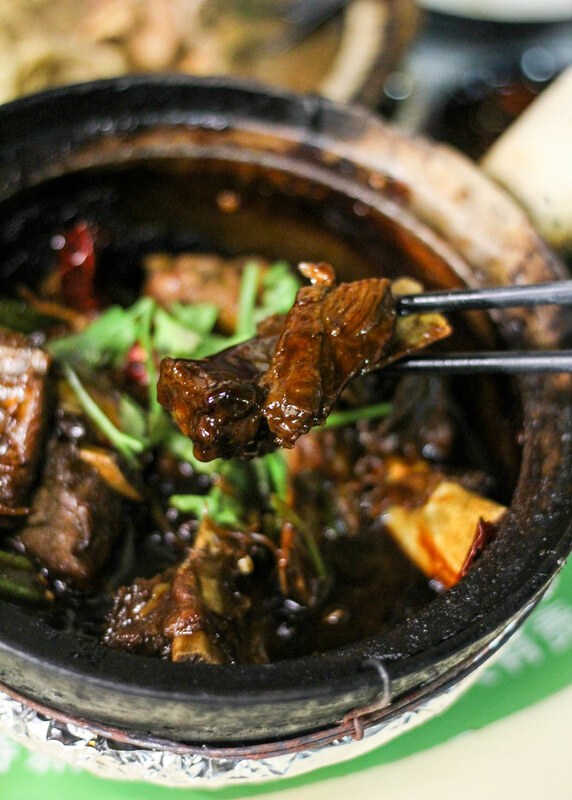 You should also try the dry bak kut teh which features pork ribs in a dark, rich, and thick sauce. Opening Hours: Mon 11am to 10pm. Tue-Sun 11am to 2am. This eatery needs no introduction, as they are very popular. We had prawn chee cheong fun, siew mai, braised pork belly bun, and century egg porridge. The filling for the prawn chee cheong fun is crunchy and succulent while the siew mais are meaty and juicy. The gooey porridge was simple, but tasty. Opening Hours: 24 hours. Closed on Tuesdays. If you’re staying around Ubi, you would be familiar with this prata stall. The prices here are really reasonable. We had a plain prata, an egg prata, and a cup of teh tarik for only $3.60. We were surprised by the curry which was thick, rich and good. We hope that our list of supper spots will fill your weekend nights with good food! Do let us know if you have other stalls to recommend!